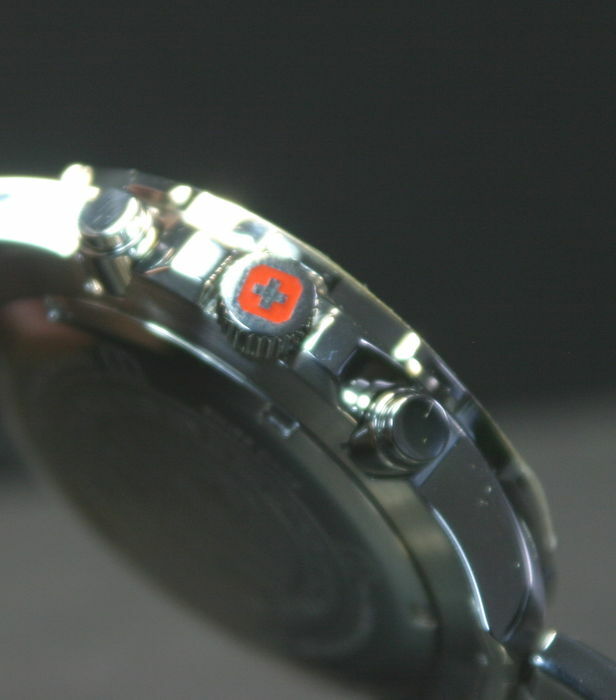 Black/red Hanowa Swiss Military Chronograph. - Casing: Polished, matte stainless steel. 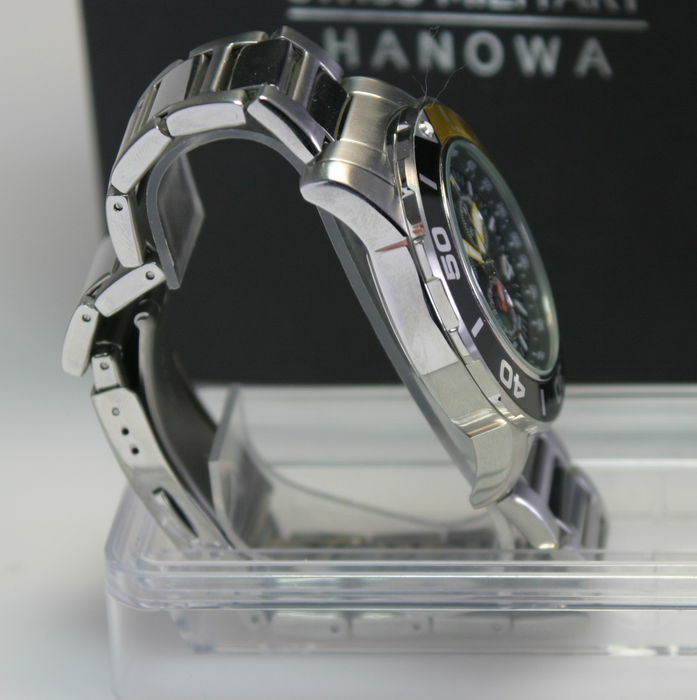 Diameter 44 mm without crown, height 14 mm. 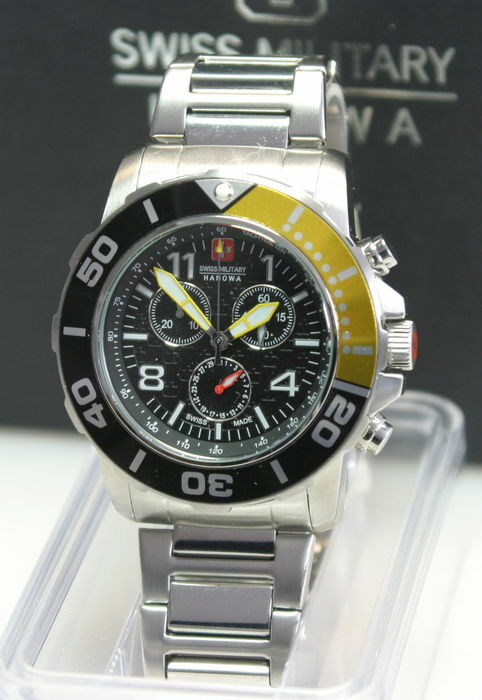 Black-yellow bezel rotates in only one direction. Screwed base, crown protection, round press buttons. Water resistant 100 m, 10 ATM. 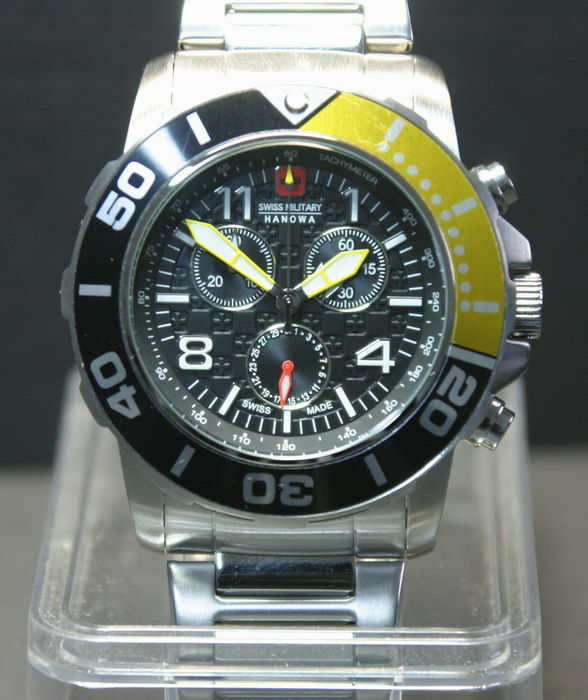 - Dial colour: black, yellow flurorescent hands and indices, 2 sub-dials, 1 sub-dial with date at the 6, Hanowa logo at the 12. - Strap: Stainless steel matte and polished, strap attachment width: 22 mm, maximum arm circumference up to 22 cm, clasp: secure folding clasp. 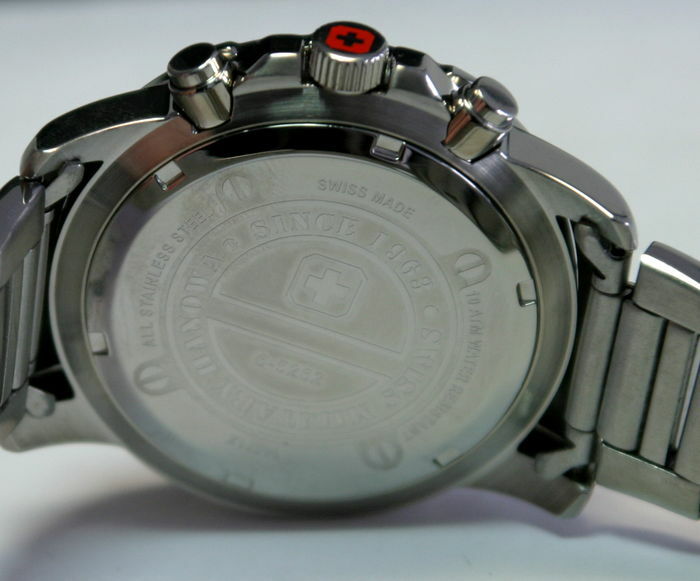 - Movement: Swiss quartz. 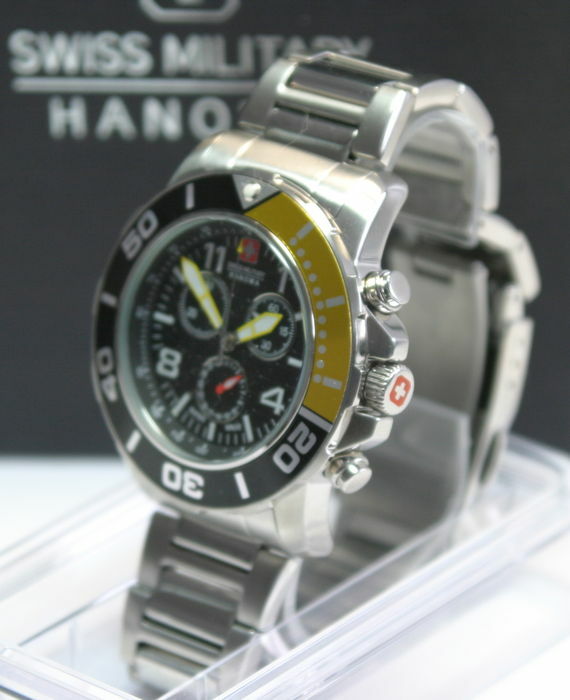 Features: Seconds, minutes, hours and stopwatch function. 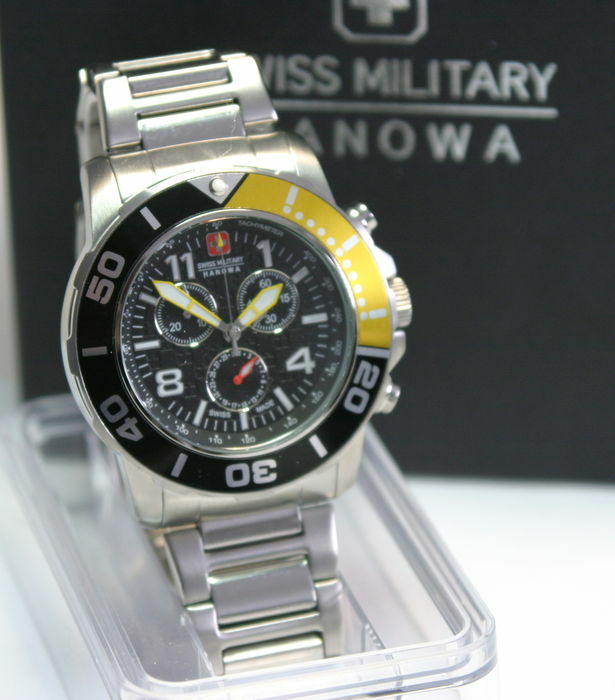 - Hanowa Swiss military watch box, original papers (not filled in). Insured shipping via DHL parcel in Germany, insured and registered shipping via Deutsche Post or insured via DHL to other countries. Puoi ritirare questo lotto direttamente presso il venditore: München (), Germania.